Last season was pretty amazing for the Cavaliers. They managed to do the unthinkable. Rarely who believed that they could manage to do what they did. Even now, when the new season is about to begin, people, especially Cavs’ fans can’t stop talking about that amazing Game 7. For most players it will probably be the best game of their lives and they’ll keep going back to it. The hysterical talk after the week one debacle was just too much. I couldn’t listen to local sports talk, as I knew some fans would be consumed by emotion as they labeled Trent Richardson and Brandon Weeden busts after just one game. It wasn’t just Browns fans, as the experts on ESPN and other outlets were having a field day with Weeden’s anemic quarterback rating. It also affected the betting lines of course, as everyone follows the crowd even when they’re into sports betting over the Internet, when instead they should be looking for ways to go counter to the emotional masses. Yes, the Browns either pushed or barely covered against the Bengals last week, but so many people thought that the Browns were finished and that they had to think about starting Colt McCoy. 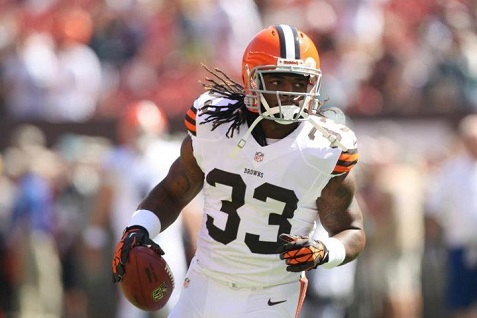 Of course, things were much different on Sunday in Cincinnati, but before we get to Weeden we have to address Trent Richardson, as he’s the engine that will drive this offense. TRich was obviously rusty in week one against a very tough Philly defense, but he exploded against the Bengals and showed us everything he showed in college. A stud like Richardson gives every offense hope, and now the Browns can build an attack around Richardson, while taking some pressure off of their rookie quarterback. Look at what Ray Rice did for Joe Flacco. The same thing can happen here, and now Browns fans gave much more reason for optimism. But we also saw that Weeden can also be a real quarterback when Richardson is running well. He rebounded from his brutal debut to post excellent stats. But this goes far beyond stats. Weeden was making throws that only the elite quarterbacks can make, and it’s no surprise that the Colt McCoy cheerleaders were quiet after this game. None of us know whether Weeden will develop into an elite quarterback. But we saw that the Browns are correct in handing him the offense, as he has the talent that can be developed. Now let’s see how fast this duo can make progress. The Browns are 0-2, but they face a Bill team at home that’s very beatable. Hopefully they can take that next step.